What is Blackberry Winter? 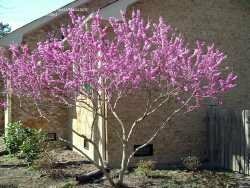 Or Redbud Winter? Or Dogwood Winter? 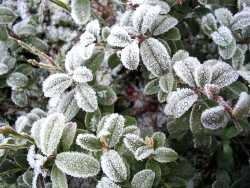 Every gardener knows there are vagaries of weather following the first warm days in early spring, but not all gardeners know their names, or that they have names, and why. Old-timers in the Appalachians know there are several named "winters" following winter, and Blackberry Winter is perhaps the best known. 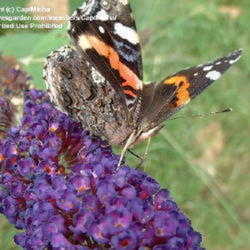 There is also Dogwood Winter, Locust Winter, Whippoorwill Winter, Redbud Winter and even Linsey-Woolsey Britches Winter. Long before there were visuals on TV showing long-range weather patterns of the jet stream and ocean currents, local folks had sure signs for when to plant and when to wait. In the eastern United States, especially the Appalachians, most of that seasonal lore was named, and is still used by the old-timers today. 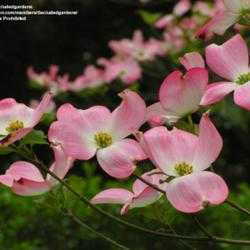 Dogwood Winter occurs about the time the dogwoods bloom, usually between mid-April and mid-May, varying from year to year. 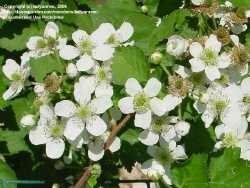 In some areas, Blackberry Winter and Dogwood Winter occur at the same time, while those living two or three states away may experience two distinct, separate cold snaps. 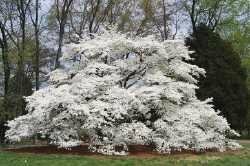 Dogwood Winter, like most of the "winters" mentioned here, is a somewhat predictable weather event of the thermal currents making a short reversal of direction, bringing a few days or even a week of cold weather, sometimes with frost or snow and potential damage to garden plants. Weather forecasters know it is likely to occur, but it’s not predictable enough to say on what day. 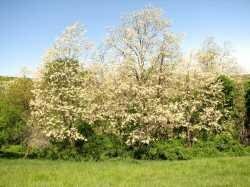 The oldtimers knew it usually happens when the dogwoods (Cornus florida or Cornus nuttallii) are in bloom. 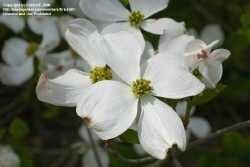 With the possibility of frost happening during Dogwood Winter, they also knew to wait until after the dogwood bloomed to plant tender vegetables and annuals. 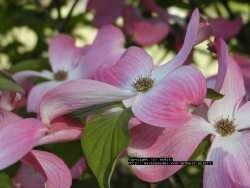 Native Americans watched for the dogwood blooms as the sign to begin planting corn and other crops. 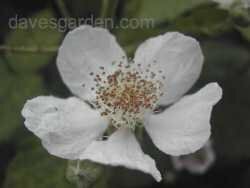 Oldtimers also knew that blackberries (Rubus fruticosus) need a cold snap to set buds on the blackberry canes, so as sure as night follows day, there will be a cold snap when the blackberries bloom, called Blackberry Winter. It comes with a somewhat less severe return of a continental polar air mass after the maritime tropical air masses have begun to dominate the weather. 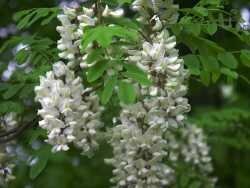 In some areas, a late cold snap occurs with the blooming of the locust trees (Robinia pseudoacacia) usually before the dogwoods bloom or the redbuds (Cercis canadensis). 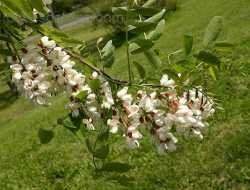 So you have Locust Winter, and Redbud Winter happening after the first flush of warm spring days and before Dogwood Winter and Blackberry Winter. According to Buster (my neighbor and folklore old-timer), Locust Winter generally isn’t as long or cold as Blackberry Winter. Here at my elevation, the redbuds bloom before the dogwoods, and the blackberries bloom after the dogwoods (in most years), so we get to have Redbud Winter, Dogwood Winter, and then a Blackberry winter. 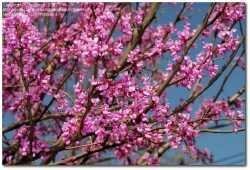 As a matter of fact, we are having a Redbud Winter right now as I write this. Yesterday I worked in the garden in a sleeveless shirt, and this evening it is snowing. I noticed on the way to the store this afternoon that the redbuds are starting to bloom! There’s also Linsey-Woolsey Britches Winter, a term not used so much anymore, and then the last gasp of cold weather is Whippoorwill Winter. Linsey-Woolsey Britches Winter was once a popular term, back when winter clothing was homespun of linen/wool, and winters were harsher. It was the last time in spring that you’d need "long johns" before trading them for short sleeves, and it usually came about the time of Blackberry Winter. However, I never read how one would know Linsey-Woolsey Britches Winter if you lived where there were no dogwoods nor blackberries, except you’d be cold. 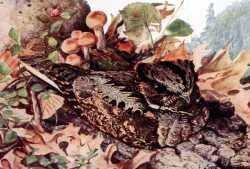 The last named winter, Whippoorwill Winter, is actually a herald of warmer days coming to stay for the summer. The whippoorwill (Caprimulgus vociferus) migrates from wintering in Mexico to their summer range farther north in late May to early June. 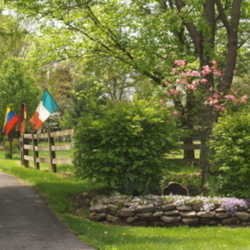 Whippoorwill Winter not as cold as the other “winters” but still a bit of cold snap lest we forget. If the oldtimers are correct, I can expect two more cold snaps (Dogwood Winter and Blackberry Winter) in my area before it is safe to set out my tomato plants. Take a look at the trees blooming in your area with the late cold snaps and see if you can identify the cold snap by name! 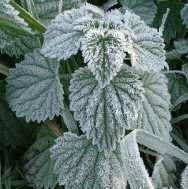 Frost on a nettle is licensed under the Creative Commons Attribution-ShareAlike 3.0 License. 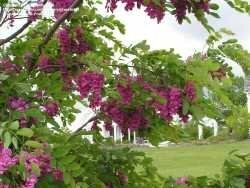 I’d also like to thank the following for use of their photos from Plantfiles: hczone6, redbud and locust flowers; MikosGirl, redbud tree; araitn, pink dogwood flowers; EricinSF, dogwood flowers; melsalz, dogwood tree; ladyannne, blackberry flowers; Izk5ia, locust trees; melody, locust flowers; stressbaby, locust 'Purple Robe' flowers; creekwalker, dogwood flower (thumbnail); and Philomel, blackberry flowers.